My friend Tim takes a high speed photo of the eclipse and it looks like the first one. You see a small inner Corona, and even some red prominences. They stream away from the sun though there is a hint of red rolling over the moon. My photo (the second) was taken with a longer exposure and captures both the inner and outer Corona, (with a clean dividing line). But look what happened to the prominences! They defused over the surface of the moon. Can some one explain how this happens. The moon has no atmosphere and the sun is 93 million miles behind it. Was it diffraction of the light passing over the tips of the mountains on the moon? Or was it like my daughter Miesha explained: “The Red was wax wrapping around the green cheese”. The Dark comes on fast. In a blink it swept past the hills near by and, before I could turn around, covered the ones in the distance. Actually noticed Jupiter first as I turn back and then saw that orb that captivates. Tom recalls the sudden drop in temperature; Stan called it life changing as the birds went silent. 3 guys, 1500 miles in a rented sensational Ford Expedition, 3 nights, and incredible memories. Plus the last night in Reno was OK too. 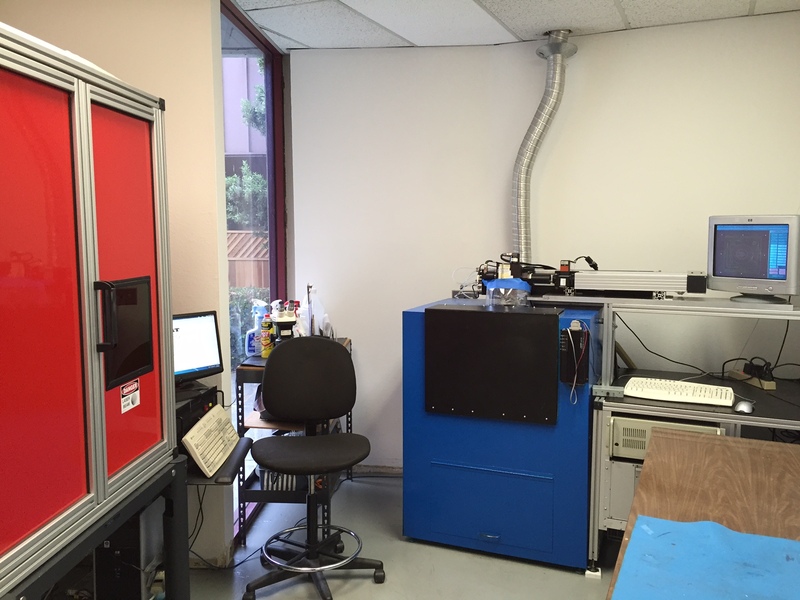 Categories: laser engraving san jose, Uncategorized | Permalink. Laser Mark’s Company has just entered into a licensing agreement with Crashtag to provide the widest range of colors on medical grade titanium. While some titanium colors are easy to achieve, Crashtag has spent the past year to extend the rainbow of color options including the difficult to achieve Green. All the formulas were created on a Laser Mark’s Company customized Model 2016-1064 marking system. The optics and laser mode have been optimized to provide pure oxide colors with the least diffraction effects. Laser systems can be built in Laser Mark’s Standard Class I enclosures, or built directly onto existing production lines. Our agreement with Crashtag enables them to provide installation training of their proprietary color formulas. This partnership insures the most rapid adoption of this technology onto a stable production platform. 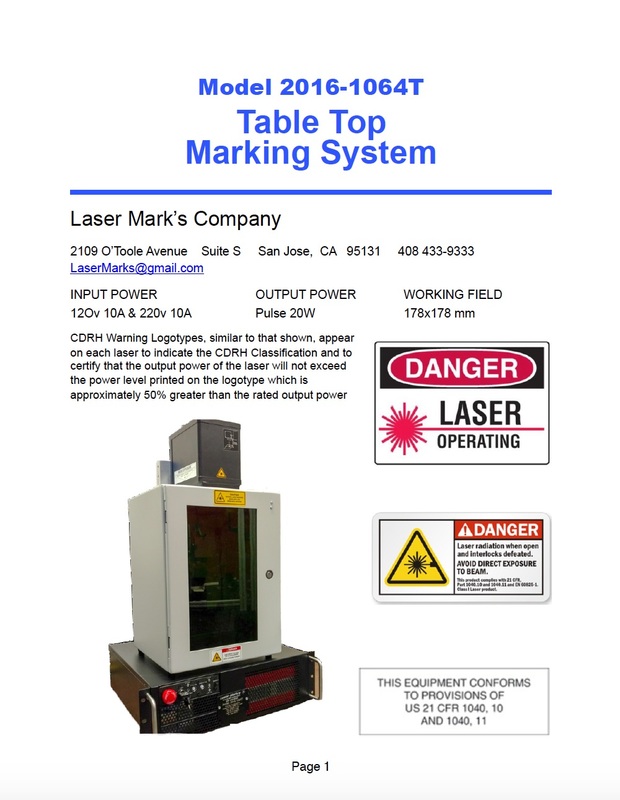 Contact Laser Mark’s Company for further details. Categories: laser engraving san jose, laser engraving service san jose, laser engravings, laser etching services san jose, lasermark san jose, medical titanium marking, Uncategorized | Permalink. Laser Mark’s Company is now the integrator of choice for Lincoln Lasers line of polygon scanners by developing the a working interface to the new SPI 2MHz 50 watt laser. The SPI MOPA’s ability to fire up to 2000 kHz allows high power and cost effective laser pulses to keep up with the incredible speeds and accuracy of Lincoln’s PolyTech and HyperScan heads. Scan speeds for traditional 2D and 3D scan heads top out around 20 meters per second with most processing being done well below 6 meters per second. Polygon scanner operate by bouncing laser beams off multiple mirrors rotating at high speed. The HyperScan head from Lincoln Laser offers the accuracy of a galvo scan head at POLYGON scan speeds of hundreds of meters / second! Even at scan speeds approaching 200 meters per second, the Hyperscan head can achieve spot resolution of <3μm and repeatability of <± 10μm in the X and Y axis. The SPI EP-S J series type laser has multiple wave forms and the ability to pulse up to 2000kHz for use on plastics and films. And the SPI laser has sufficient pulse energy to mark directly on raw and plated metals at very high speeds. Using a cost effective MOPA Laser, the Lincoln Laser provides the Highest Speed, On Demand Printing without any consumables, nozzles, UV curing or inks. Laser Mark’s Company can bring this capability to your production line. As the following video shows, at 1500 kHz, the 50 watt air cooled SPI EP-S J can etch two labels of text and QR code on to anodized aluminum in 200 milliseconds and uncoated steel at 250 milliseconds. Don’t Blink! Laser Mark’s Company announces the addition of a CDRH Class I Table Top Laser System perfect for trade shows and conventions. The first of the line is already in service in a major mall etching custom credit cards for Lion Industries. Designed for use with SPI’s line of MOPA fiber lasers, the Table Top unit provides fast marking with it’s pulsing beam and Galvo Scan head. This offering adds to our line of customized industrial enclosures designed for R&D and Production. The Standard Cabinet for for the Lab or Machine Shop where small to medium parts need processing. It has been mated with up to 100 what laser sources and 2D and 3D scan heads. Plenty of room is available for X-Y and Z stages for volume precision production. The HD Cabinet is used for applying energy to either larger devices, or for developing custom laser chambers for exotic materials processing. Laser Mark’s Company makes the tools for customization for advanced technology. 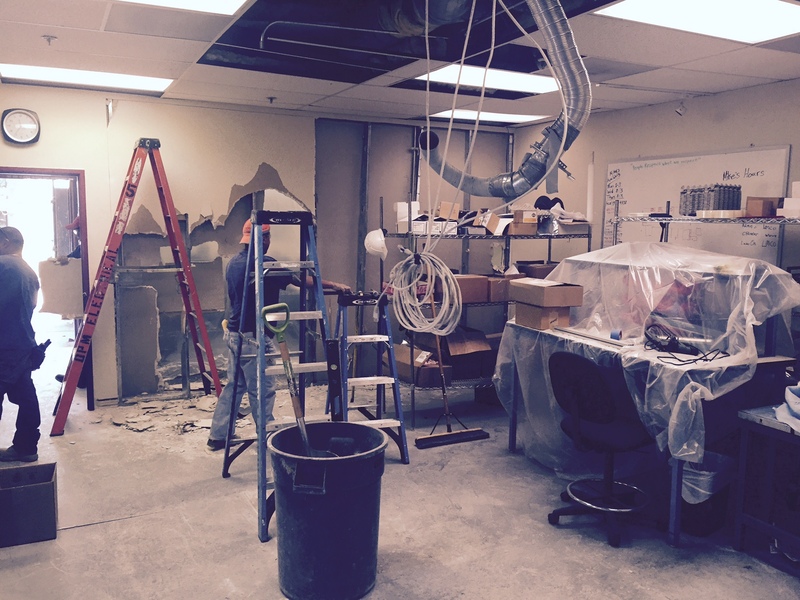 Months in the Making….Walls removed… floors ripped up….. and Pretty soon the celebration will begin! We worked through dust and noise; paint and trim, new doors and floors till epoxy fumes finally shut us down for a few days. 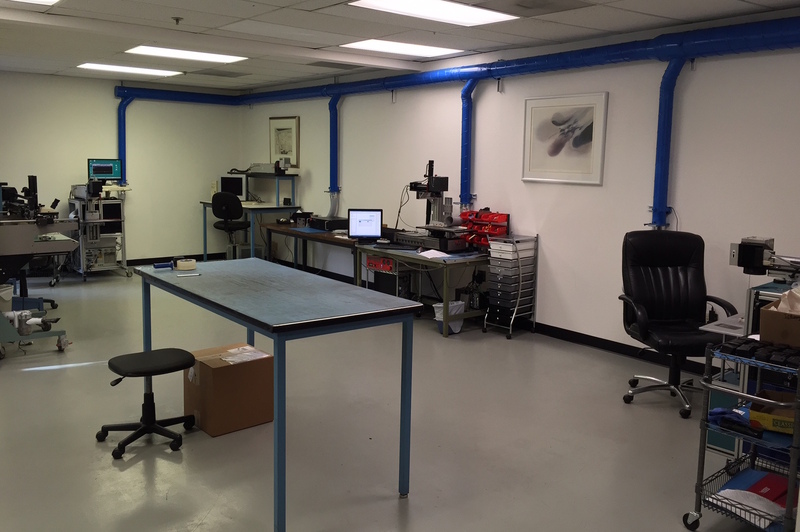 Laser Mark’s Company has opened up its work space to do more than accommodate additional laser platforms. The new open floor plan makes it easier to speed processing parts for our many customers that require quick turn through put. And the back room has also been re-configured with new material carts and mobile tool and supply storage to make optical change overs go quickly. Multiple staging locations are easily accessible for material buffers during processing. Finished Goods and Work in Progress now have a dedicated shipping and receiving door with many documents now being process electronically. All this to be ready for our 27th anniversary celebration coming soon. There will be wine and food to be shared with our favorite friends and associates Stay tuned. Categories: Uncategorized | Tags: custom laser engraving san jose, laser engraving services san jose, laser etching services, Laser Mark's Company, Laser Marking Silicon Valley | Permalink.